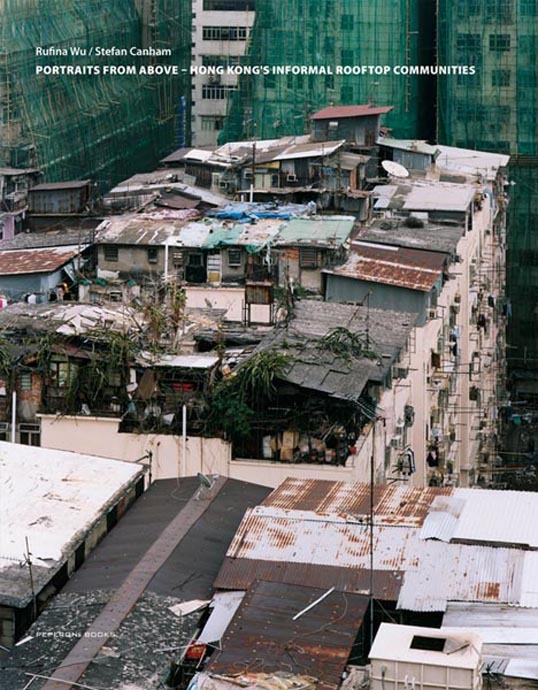 Shanty towns are nothing new in large cities with little (enforced) regulation, but this is something you have to see to believe: everything from small shacks to multi-story structures, individual buildings to entire villages, all spread out in organic mazes over the rooftops of apartment structures and skyscrapers throughout Hong Kong – a set of smaller communities within the larger surrounding city. 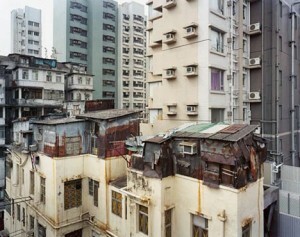 In Portraits from Above Hong Kong’s Informal Rooftop Communities by Rufina Wu and Stefan Canham, a particularly stunning set of rooftop dwelling structures is explored through vivid and though-provoking pictures, drawings, diagrams and the stories of a few families who live their lives in makeshift houses built piece by piece on existing buildings. Who comes to live on rooftops, after all? How? Why? The penthouse is historically the most prized property of a building, but that was not always the case. Before the introduction of the elevator – an invention that made the tenth floor far more appealing almost overnight – the poorest people were forced to walk the stairs to their high-up homes. “The roof is a maze of corridors, narrow passageways between huts built of sheet metal, wood, brick and plastics. There are steps and ladders leading up to a second level of huts. We get lost …. 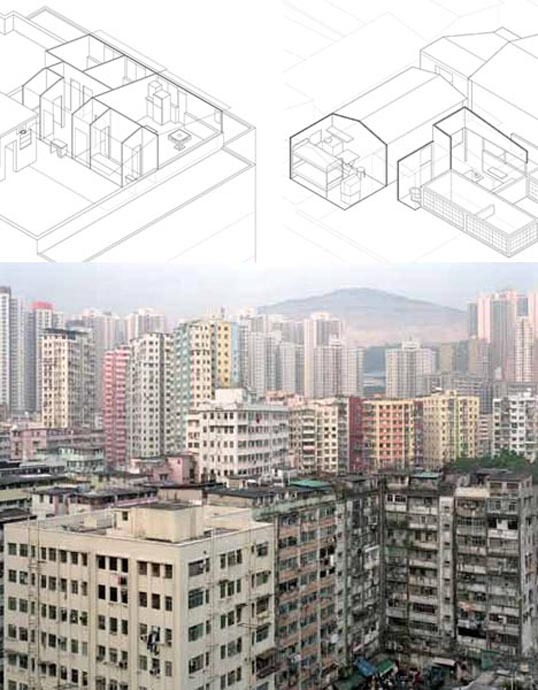 They hear us out, smile back and invite us into their homes.” This is an amazing phenomena – a William Gibson-style vision of urban futures unregulated by building codes and allowed to evolve out of the available space and needs of a city’s people.